Letting your holiday cottage can be a profitable exercise. Cottage holidays in the English countryside have been one of the great success stories of the last 30 years, and each year more owners of second homes bring their properties onto the holiday market. Kent and Sussex Holiday Cottages are constantly seeking good quality properties in desirable locations across Kent and Sussex to add to our portfolio. We offer a complete marketing and booking service with flexible contractual arrangements. If you have a property in Kent or Sussex and would like full details, simply contact us by telephone, email or in person and we'll be pleased to provide you with our comprehensive Owners' Information Pack by return. Are you looking for a professional and friendly agency to help you with letting your cottage? Somebody local and yet with a strong national marketing power? Somebody who can maximize your income and minimize any inconvenience? We believe there is no substitute for knowledge and experience, and there is no reason why a professional service cannot be personal too. Our sales and reservations staff go the extra mile to make sure that customers choose the right property to suit their holiday needs, and the whole team are dedicated to maintaining a regular dialogue on how your property is performing and what we can do to help raise its revenue potential. We'll also keep you abreast of changes in the industry and any legislation that relates to holiday lettings. Everyone who holidays with us is sent a Customer Service Questionnaire at the end of their stay, in which they are asked to rate their whole holiday experience and give feedback on what they think of both the property in which they stayed, and the service they received from us. If anything important is highlighted in these Customer Service Questionnaires we make contact with the homeowner immediately. All our properties are assessed annually by our trained Quality Assessor to give them a star grading. Our Quality Assessment scheme is based on our knowledge and experience of having been a long standing VisitEngland Quality Assured Agency. How many weeks & how much money? These are some of the many factors that influence our customers when choosing a property. We make an extra charge for pets, so owners will receive an additional £20 for each pet per week, to cover any extra cleaning. Contact us for more information or to arrange a no-obligation visit. Since Kent and Sussex Holiday Cottages was established over 30 years ago, we have built an excellent reputation providing a quality product. We are a family-owned business, based in Cranbrook and Sandwich. Our staff live locally and many have been with us for a number of years. Their experience and property knowledge is invaluable and is one of our unique selling points. Customer loyalty is high, allowing us to benefit from an excellent repeat booking pattern. Our service to owners is personal but always professional. Advertising is national as well as regional and is constantly reviewed to produce the best results. Marketing is fresh and always promotes the advantages of holidaying in the South East. Top website rankings - our website is integrated with our booking system and allows for online reservation and payment. Professional photography at no extra cost to present your property in its best light. We also run a PR campaign which generates coverage in newspapers and magazines. Our own trained Quality Assessor will ensure that your property is graded after recruitment. Owner bookings are not restricted at all. Our Cancellation Scheme guarantees that owners are paid 100% of the value of a booking in the event the guest cancels their holiday, regardless of whether we are able to re-book the holiday. 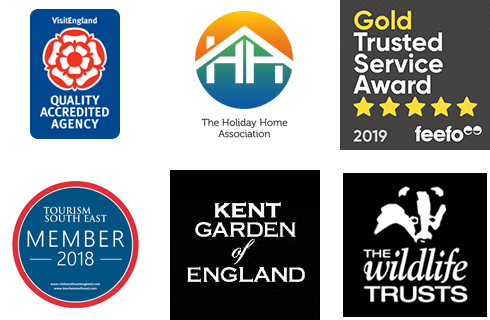 Kent & Sussex Cottages is not only a local company that cares passionately about looking after our owners and customers, we are also part of the Original Cottages group. To learn more, please view our short video. To request an Owner Pack, please fill out your details below, and a member of our friendly team will contact you shortly. In the meantime, if you would like to speak to a member of our Homeowner team to arrange a visit to your property, you can do so using the additional information on our Contact Us page. We are happy to have an initial chat to answer any questions you may have prior to our property visit.